Created in collaboration with David Leven of LEVENBETTS and Parsons M.Arch student researchers Yuliya Savelyeva and Sam Weston (and generously funded by the Parsons School of Constructed Environments, NYCHAPEDIA is a catalogue of sites that formally and qualitatively documents the holdings of the New York City Housing Authority. Drawn from data found in NYCHA's current "Development Data Book" and categorized by borough, this book hopes to catalyze a discussion surrounding the assets of the housing authority and ultimately a visioning of how best to modify, adapt, and program existing building stock to re-frame housing within New York City. 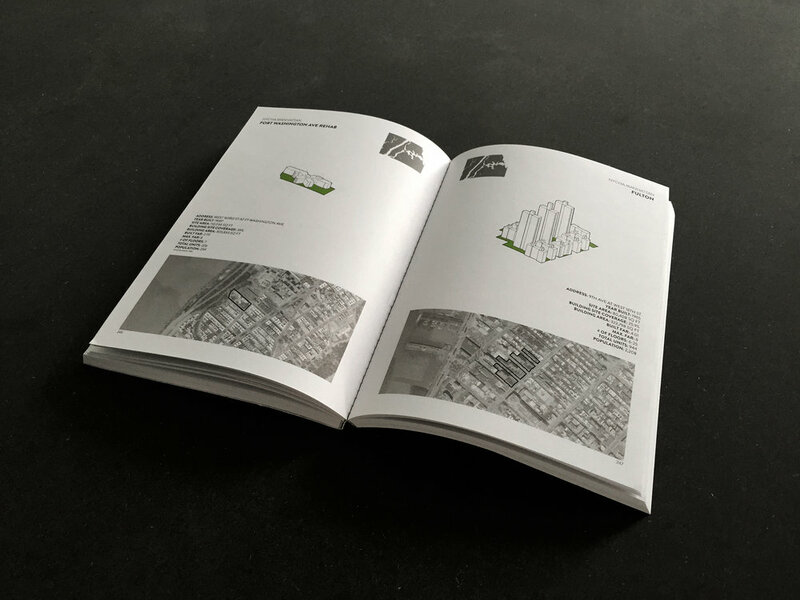 Each of NYCHA's public housing developments is contained within, including basic data regarding site parameters and zoning, most of which is pulled from NYCA's own development summary. 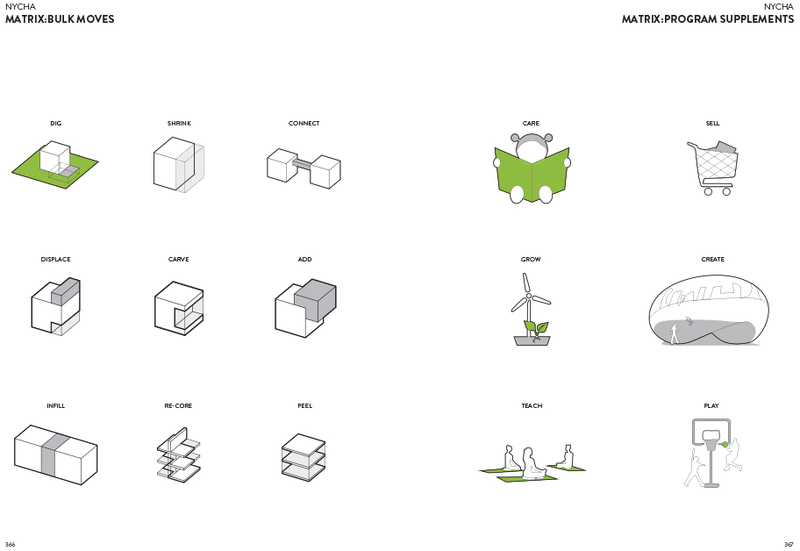 In addition, we have created iconographic drawings representing each of the physical structures and their surrounding site. This document is not meant to be just an encyclopedic instrument. 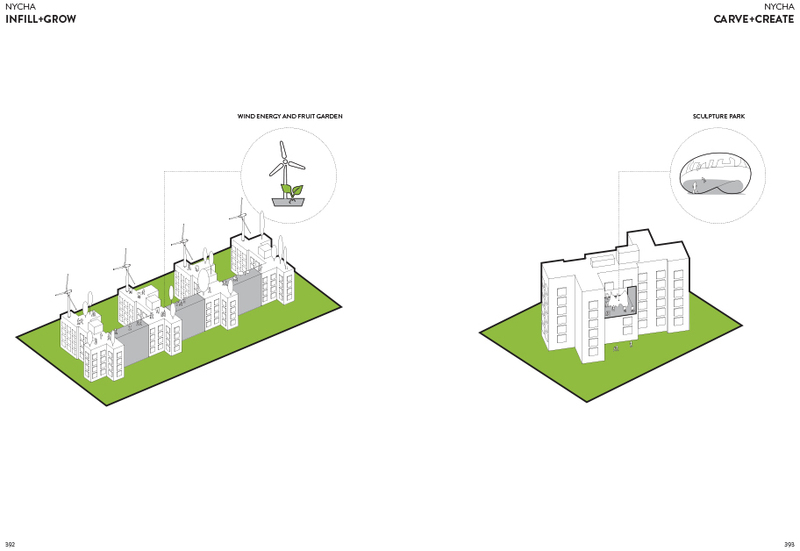 Evident within the catalogue of properties is a tremendous quantity of underdeveloped sites and an overflow of as-of-right square footage, along with properties in need of aggressive maintenance. 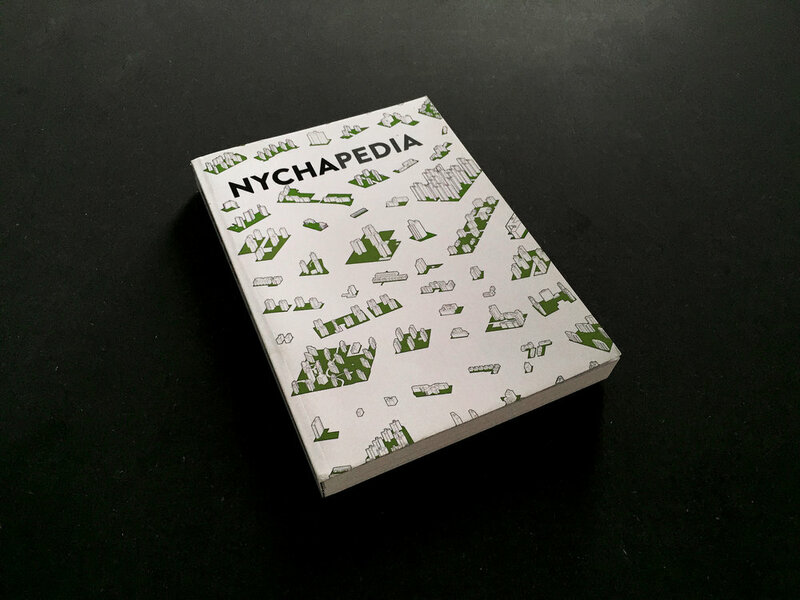 NYCHAPEDIA contains, at its conclusion, a series of speculations related to formal manipulations and programmatic insertions that could fundamentally alter how we perceive, occupy, and experience these valuable assets. NYCHAPEDIA is a catalogue of sites that formally and qualitatively documents the holdings of the New York City Housing Authority.